For personal debts, most people file for Chapter 7 bankruptcy. the debts that are creating problems for you will be discharged under a Chapter 7 bankruptcy. In some cases, most of your debt cannot be eliminated (discharged) by any bankruptcy. These debts include alimony, support, recent income tax debt and certain criminal penalties. Details on these special debts. You want to pay your creditors back but just need to relieve the pressure now. Chapter 13 bankruptcy will allow you to spread the past-due payments over a 3-5 year period, if you can keep current. You want to protect someone who co-signed on the debt with you. Under Chapter 13, the creditors will not pursue your co-signer while you are making regular payments. Under Chapter 7, the creditors will pursue your co-signer to pay the debt in full. You can file again if you completed a previous Chapter 13 plan and you paid at least 70% of the unsecured debt. You can file under Chapter 13 at anytime if the plan proposes that you will repay 100% of your debt. However, after receiving a discharge under Chapter 7, you must wait at least 4 years before you can file for a Chapter 13 Bankruptcy. You can also file under Chapter 7 if you completed a Chapter 13 plan and you paid at least 70% of the unsecured debt. If you have enough monthly income to make extra payments but are being harassed for past debt, you can file for Chapter 13 bankruptcy. If you have too much monthly income (compared to your expenses), you may find that your trustee may challenge a Chapter 7 bankruptcy. You are behind on your mortgage or car loan (secured debts). Under Chapter 7, you will lose your house or car, unless you can pay the full amount due. If you have "secured" debts, the best choice for filing bankruptcy will depend on whether you are current in your payments on the secured debt. A secured debt is one where the creditor has taken a lien on the property as collateral. Practically, this means that the creditor has the right to recover their share of the property if you stop making payments. The most common examples are a house or a car. "Secured" debts cannot be discharged under Chapter 7. Past due payments on a "secured" debt can be paid under a Chapter 13 plan. What this means for you will depend on your payment status on that debt - that is the house or car. If you are behind in your payments and want to keep the asset, file for Chapter 13. Otherwise you will lose the asset. Under Chapter 13, you will not lose your house if you can keep up the payments laid out in the reorganization plan. Under Chapter 7, look to see if the total debt on the house is less than the market value of the house. If you have equity in the house after you subtract the debt, look to see if the equity difference is less than the amount you are allowed under the exemptions. If this equity difference is covered by the exemptions, you will be able to keep the house. If the equity difference is more than the exemptions, you are likely to lose the house. For example, if you owe $100,000 in debt on a house with a market value of $105,000, you have an equity difference of $5,000. Now look at the exemptions. Will they cover this equity difference? For example, if you owe $100,000 in debt on a house with a market value of $ 95,000, you have no equity in the house. Therefore you do not have value in the house that a creditor can grab in a bankruptcy. Also, it is usually easy to convert a Chapter 13 bankruptcy into a Chapter 7 bankruptcy (or the reverse). 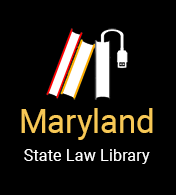 The United States Bankruptcy Court for the District of Maryland provides very helpful information if you wish to file for bankruptcy on your own, but encourages you to contact an attorney before doing so. Includes "Guidance on the Bankruptcy Filing Process"